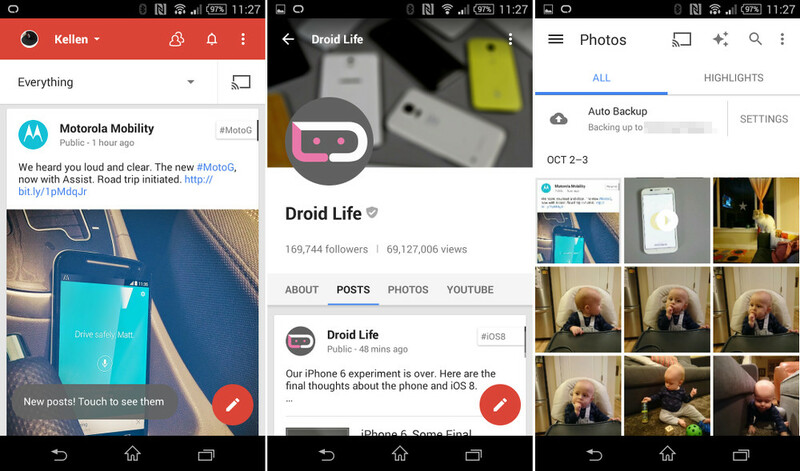 Google+ received a minor update (4.6.0.76908267) on Android this morning, flush new Material Design tweaks. From what we can tell, there aren’t any new major features, but the app is certainly more polished than ever as we approach an Android L launch. If you compare this new G+ to the old, you will see changes to the post button (now red), polish in menus, a simpler Photos layout, and a general flattening of all the things. We have the .apk below in case the update hasn’t arrived on your device through Google Play.